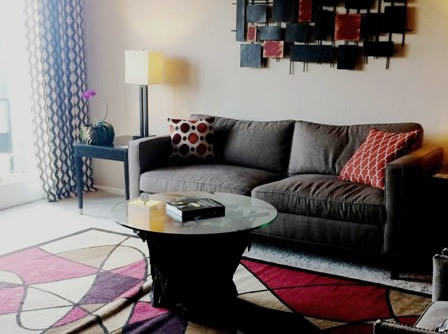 This downtown condo in Greensboro, NC had nice furniture, but it didn't feel soothing and inviting. We moved the client's table to the end of the sofa, and brought a cocktail table that was a better size and scale for the room. 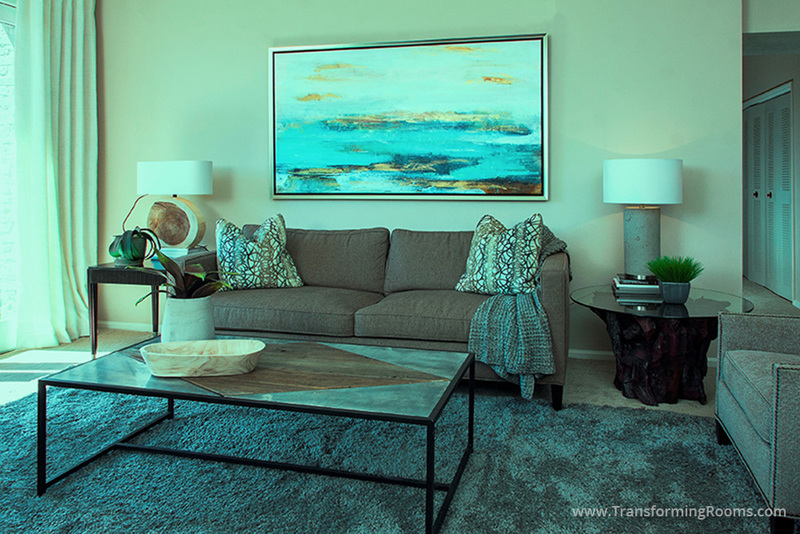 Our makeover includes soothing abstract art, unique lamps, a soft fluffy rug, and designer fabrics on the pillows. This bachelor was so pleased he had us transform 5 additional areas in his downtown loft.